AES Filing Services | Vehicle Exports from USA | Pacific Customs Brokers | Pacific Customs Brokers Inc.
All used self-propelled automobiles, machinery, or equipment exported from the USA requires mandatory AES filing with U.S. Customs and Border Protection as of October 2, 2014. Any vehicle destined out of the USA, regardless of value or country of destination, must have the accompanying electronic information submitted to U.S. Customs 72 hours before the vehicle's arrival at the border. After October 2nd, penalties of up to US$10,000 may be issued for failure to file export information in AES. AES provides a central point through which U.S. exporters are able to electronically file their export transactions, using the efficiencies of Electronic Data Interchange (EDI), without the hassle of extensive paperwork. AES is a nationwide system and is operational at all ports and for all methods of transportation. 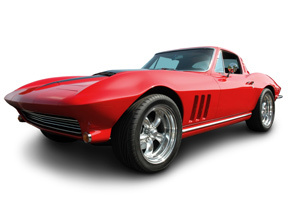 As defined in the U.S. Customs regulations a "used vehicle" refers to any self-propelled vehicle the equitable or legal title to which has been transferred by a manufacturer, distributor, or dealer to an ultimate purchaser. "Self-propelled vehicle" includes any automobile, truck, tractor, bus, motorcycle, motor home, self-propelled agricultural machinery, self-propelled construction equipment, self-propelled special use equipment, and any other self-propelled vehicle used or designed for running on land but not on rail. 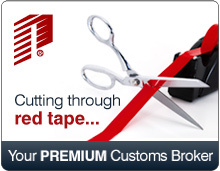 How Pacific Custom Brokers can help? We offer full and partial Automated Export System (AES) filing services for commercial and individual importers as required by U.S. Customs Service and U.S. Census Bureau. For more information or assistance in initiating or completing this process, contact our vehicle shipping experts today!